Tiffany Cook and Katie Huang Shin will serve as presidents of consumer and technology, respectively. 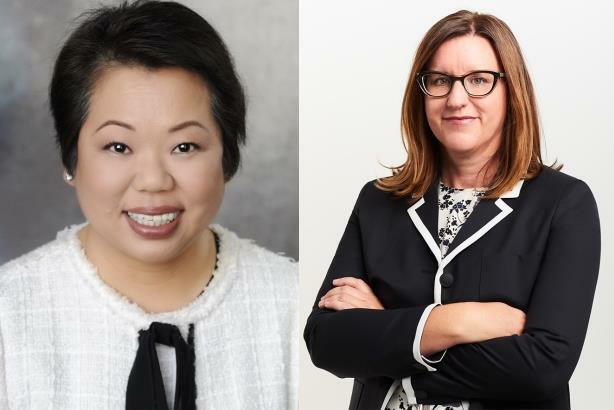 SEATTLE: WE Communications has promoted Tiffany Cook to consumer sector president and Katie Huang Shin to technology sector president and chief strategy officer, the firm said on Wednesday. Cook, a 19-year WE veteran who was most recently consumer EVP, will continue to report to Kass Sells, president of North America. She will focus on integrating social, digital, insights, influencer marketing, and creative for clients who want to increase consumer engagement. Cook has led campaigns for clients including Microsoft, Safeway, and Victoria’s Secret since joining WE in 1998. Under her leadership, the firm’s consumer sector has added clients such as McDonald’s, Brother, iRobot, and Volvo. "Our highest priority is to partner with our clients to help them drive impactful business results," Cook said. Huang Shin, who joined WE in 2015, most recently held the role of chief strategist and EVP. In her new position, she is succeeding Dawn Beauparlant, who was appointed to the role of chief client officer last March. Huang Shin will continue to be based in the San Francisco Bay area and report to Beauparlant, while working with clients including Microsoft. She has worked with clients such as Avaya, Cisco, Compaq/HP, Huawei Technologies, Intel, Oracle, and Visa. Huang Shin said via email that she will spend more time "uncovering opportunities within industries that are being technologically disrupted." "I will continue to build out WE’s capabilities in an evolving tech industry no longer defined by national border," she said. This story was updated on January 17 with comment from Cook and Huang Shin.